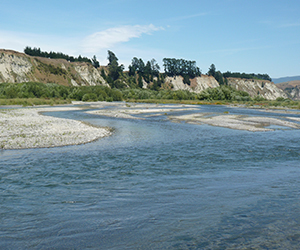 An application for a Water Conservation Order for Hawkes Bay’s Ngaruroro and Clive Rivers has been jointly lodged by a group of organisations, including Fish & Game, Ngati Hori ki Kohupatiki, Forest & Bird, Whitewater NZ and Jet Boating NZ. A Special Tribunal appointed by the Environment Minister is now considering the application and calling for public submissions. Water Conservation Orders give rivers and lakes the equivalent of National Park-type protection. If the application is successful, it will be only the 16th of New Zealand’s many waterways to be protected by a WCO. The five-person Special Tribunal says that public submissions must be lodged by 4pm Friday 24 August. The Tribunal will then hold a hearing and write a report, including a recommendation on whether to grant the Water Conservation Order.